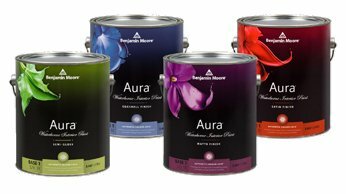 We’re proud and pleased to offer a variety of Benjamin Moore® products at Owenhouse Ace Hardware. Benjamin Moore has reputation for fabulous colors—and a variety of formulations for you to choose. Visit our Paint Center and let our folks help you with your Benjamin Moore choices! The Benjamin Moore® Exterior Stains enhance, protect and renew your deck surfaces. Visit Owenhouse Ace Hardware to learn more about these stains. They are ideal for protecting and beautifying wood.